The worst thing about this wallpaper? The worst thing about this wallpaper? Having to cover it in icons. 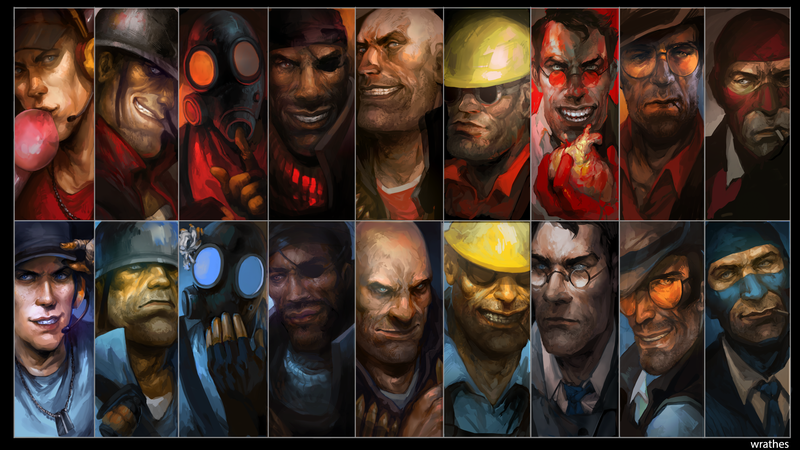 Redditor wrathes took a couple months to draw a lineup of Team Fortress 2's cast, in both Red and Blue flavors, recently presenting it in the form of a sweet 1080p wallpaper.